Results: 1 to 10 of a total of 38 results. Green and Red Chili This has been always been my home. It is a place that holds my Native American roots and allows me to be a Native American. Does kossamouse belong in this group? Spiritual, funloving and kool friends wanted! 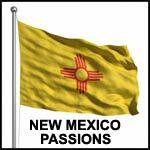 im new to NM and would like to make friends that have positive attitudes, strong goals, motivation and spirituality. I enjoy live music, travel, comedy and the outdoors. Would love to go hiking and skydiving. So, if you wanna know more, email me and ask! Peace! Does psychosocial belong in this group?